The app allows influencers to negotiate campaign deals, measure engagement and discover the best time to post. Brandnew IO, a brand influencer platform specializing in Instagram, announced recently the launch of its iOS app. The app allows influencers to negotiate campaign deals, measure engagement and discover the best time to post. It also lets influencers learn more about their followers and keep tabs on competitors. The app is available for free in the iTunes App Store. Influencers on Brandnew IO’s platform with 50,000 followers or more can view new campaign briefs and offers, accept or decline offers and choose posting dates. 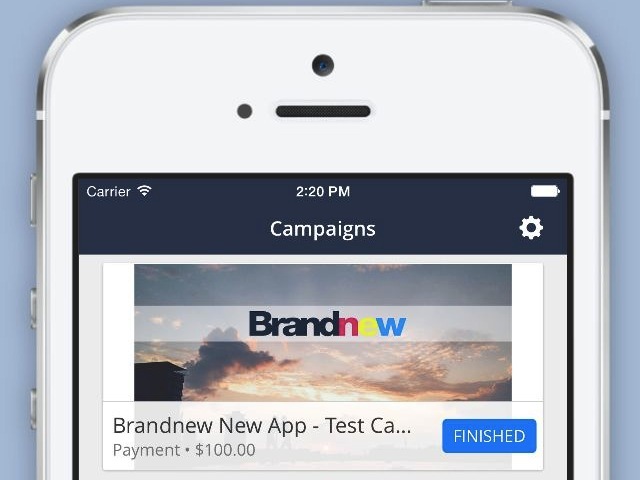 During the campaigns, app users will receive reminders for posting and payment dates. Instagram influencers are regularly on the go and traveling, so we wanted to provide them with a user-friendly app that allows them to communicate with brands and manage their campaigns effectively from anywhere. Essentially, the app streamlines the process of participating in brand campaigns so our influencers never miss an opportunity or update. Brandnew IO also announced the release of its all-new performance analytics tool that allows brand marketers and influencers to measure engagement and track insights, enhancing their presence on Instagram. It provides a visual overview of activity and engagement, letting users follow or unfollow Instagram accounts, as well as engage with posts and discover the best time to post content for optimized engagement. Understanding social media engagement and data is a top priority for advertisers trying to measure return on influencer marketing, particularly given the recent developments with Instagram advertising. Accessing this data is equally important for influencers who are looking to demonstrate return to brands. That’s why we’ve provided a full analytics resource for marketers and influencers, offering both a snapshot and in-depth review of engagement and insights. The best part of it: it’s completely free of charge!